Resource center A Look at Drug Abuse. Common Signs and Symptoms What Causes Addiction and How Can it Be Prevented? There are many myths that have continued to circulate and grow over the years pertaining to what the exact cause of addiction is. Unfortunately, many of them paint individuals suffering from addiction in a pretty negative light. Being dependent on drugs or alcohol doesn’t make someone a bad person; the person simply has a disease. Many people experiment with illicit substances, especially during adolescence – a time when the risk of developing and addiction is at its highest. Yet, most of these people never end up hooked on the substances they mess around with in their formative years. Among every 10 adults who drink excessively, just one fits the criteria for alcoholism, per the Centers for Disease Control and Prevention. So what is the difference between these groups of people, and why do some people develop addiction while others do not? Addiction is both a physical and psychological disease. Symptoms of addiction vary from one person to the next. For instance, being lazy or unemployed does not imply that someone is abusing drugs or alcohol, but tolerance does. If someone is using a substance and continually needs to increase the amount used just to get the same response, that’s because the person’s body and mind have grown tolerant to the smaller dose and now need more of it to feel the same effects. Using to avoid withdrawal, failing at attempts to cut back or quit, avoiding friends and family in favor of using, having somewhat of an obsession with the substance, or continuing to use drugs or drink even though nothing good has come from it are additional red flags that point toward addiction. Peers play a significant role in both adolescent and adult behaviors. What a person’s friends are doing has an impact on what a person does. Environments where drug or alcohol use occurs frequently are likely to encourage such behaviors. The Huffington Post reports at least 60 percent of teenagers classify their high schools as being drug infected. Peer pressure is often a topic that is more highly regarded among teen and adolescent demographics than any other, but plenty of adults also succumb to it merely because they were offered a drink or encouraged to try a substance by other adults. Environment strongly influences substance abuse habits as a whole. With prolonged drug and alcohol abuse, addiction is more likely to occur. 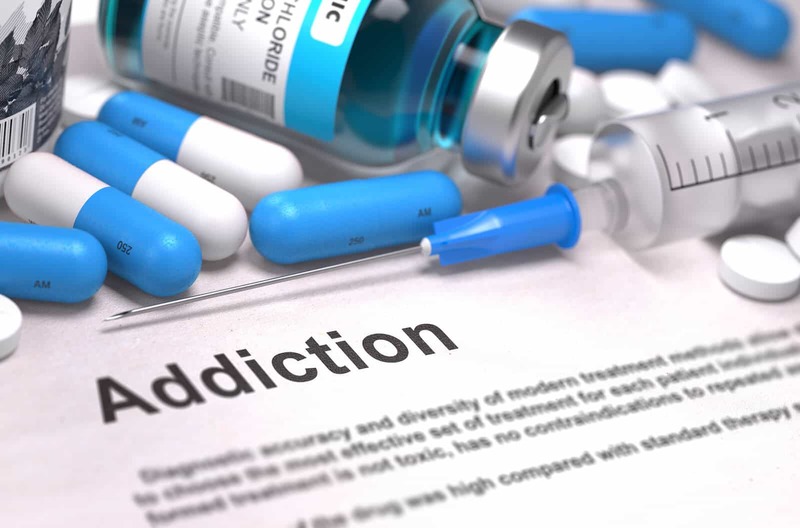 Around 50 percent or more of a person’s vulnerability to addiction is attributed to hereditary factors, the American Psychological Association reports. Despite the fact that science has proven this disease can and does run in families, mainstream society is reluctant to believe it is a physical condition. Other illnesses with genetic links, such as heart disease, tend to garner more sympathetic attention. The manner in which people are raised has a significant impact on how they turn out as adults, and the same principle applies with substance abuse and addiction. Parental substance abuse is a huge factor in the development of similar issues among children when they are older. Children with parents who suffer from alcoholism are 2-4 times more likely to suffer from alcohol abuse issues as adults, per the Substance Abuse and Mental Health Services Administration. Furthermore, neglect and abuse are both more common in households where parental substance abuse occurs. Childhood abuse is three times more likely – and neglect four times more likely – in households where parents are abusing drugs or alcohol. Addiction is largely due to physical factors, mostly those within the brain. Neurons are responsible for communication between every system and action that occurs within the human body. This form of communication is carried out by neurotransmitters. When a chemical substance is introduced, neurotransmitters are negatively affected. Over time, tolerance develops, and these neurotransmitters stop working correctly on their own. Drugs and alcohol also effect individual parts of the brain, such as dopamine receptors, which can be permanently damaged by the abuse of some substances. For example, long-term abuse of alcohol can ruin the natural dopamine reward system in the brain by causing receptors to break down. They can then only function when under the influence of alcohol. Thereby, the cycle of abuse and addiction is perpetuated. Does mental illness directly cause addiction? No. Does it make someone more likely to become addicted? Yes. Around 29 percent of all people living with a mental health disorder are also engaging in substance abuse, HelpGuide reports. Many people who suffer from mental illness are taking treatment medications. These drugs often carry addictive potential, such as benzodiazepines, a class of drugs the Drug Enforcement Administration notes as being prescribed over 127 million times in 2011. Others might engage in the abuse of alcohol or illicit drugs as an escape from mental health symptoms. Sometimes individuals don’t even know that is what they’re doing. People who spend years of their lives feeling depressed, anxious, or otherwise unstable might not know that they can feel any different. That is life as they know it, so it isn’t abnormal to them. It’s just hard, and they look for an escape via alcohol and drugs. While medical detox may focus primarily on managing the side effects of withdrawal, treatment for addiction must focus on the causes in order to have the best shot at being successful. Detox alone is never enough. The Partnership for Drug-Free Kids reports the risk of relapse is significantly lower among individuals who seek treatment within a month of finishing detox; those who relapse take 40 percent longer to do so, if they do at all. Individuals who suffer from mental health disorders will not be able to manage the symptoms of their illness following addiction treatment if they aren’t taught how to do so. Sometimes, medication is a required component when co-occurring mental illness is present. Furthermore, intensive therapy should be used when treating a client with both substance abuse and mental health issues. If someone has spent years abusing alcohol as a way of self-medicating the symptoms of depression, that person will be inclined to go right back to that abuse if healthier coping mechanisms are not taught. The same changes are necessary for other addiction influences, too. Peer support is important for those in post-rehab recovery. Oftentimes, those in recovery can’t return to their old friends since they are still using drugs or alcohol. As a result, it’s important to make new friends and form a new support system. Fortunately, support groups, like 12-Step meetings, and group therapies often lead to the formation of new bonds and friendships with likeminded people who are going through similar struggles in life.